CHRISTOPHER MELONI IS THE NEXT BAT? Christopher Meloni is the next Batman? 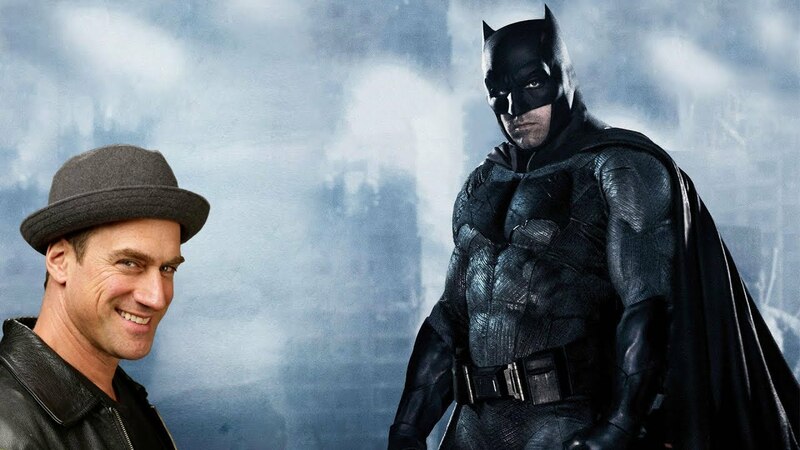 Ben Affleck may be done as Batman, but if Law and Order: SVU star Christopher Meloni has any say in things, he’d be in as Batman. In a recent Twitter post, Christopher Meloni volunteered to suit up as Batman, tagging DC Comics in the process. “Yo @DCComics this is what the kids call, “going VIRAL”! Pull the trigger. I’m ready. I’m….BATMAN.” Christopher Meloni wrote. His tweet was in response to a fan reaction. According to We Got This Covered, Robert Pattinson is being considered for the role. This even inspired artist BossLogic’s recent piece featuring the Twilight star as Bruce Wayne. The idea of Pattinson as Batman was a hard pass for the fan that they suggested Meloni. WHO PLAYS BATMAN AFTER BEN AFFLECK? Currently, rumours and suggestions are all we have. News broke recently that with Ben Affleck returning for Matt Reeves’ The Batman, the writer and director is finding a new face. Another report from Variety’s Justin Krill also indicated that they’re looking for a specific age range for the actor who will take on the heroic role, though that hasn’t stopped fans from rooting for their favourites. These are Armie Hammer or Jon Hamm. And even Christopher Meloni Whoever is the next Batman has been stamped by Ben Affleck in a recent tweet. “Excited for The Batman in Summer 2021 and to see Matt Reeves’ vision come to life,’ Affleck wrote. DIRECTOR MATT REEVES IS EXCITED! Matt Reeves is set for Batman. Whoever plays Batman, it will be something Reeves has defined as unlike anything ever seen. “Right now, I’m involved in The Batman,” said Reeves. “What it will be called ultimately, I don’t know. Aquaman is going to be very different from the Todd Phillips Joker movie, and that’s going to be different from Shazam and Harley Quinn. Warners believes they don’t have to try to develop a giant slate that has to have all the plans for how it’s going to connect. What they need to try and do is make good movies with these characters. “It’s very much a point of view-driven, noir Batman tale,” Reeves said of his take on the Caped Crusader. “It is told very squarely on his shoulders, and I hope it’s going to be a story that will be thrilling but also emotional. It’s more Batman in his detective mode than we’ve seen in the films.